Hi! 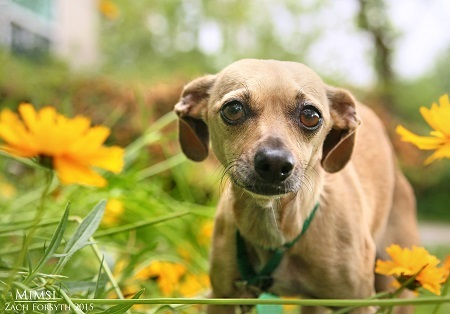 My name is Mimsy and I am the sweetest little darlin’ you will lay eyes on all year! I am 3 years old, lovable, and affectionate – I haven’t met a lap yet that I didn’t like, so it sure is a good thing that at 8 lbs I am very much lap sized! I enjoy making new doggy buddies, but I like to get to know my friends so dog parks are not my ideal. There is a kitty in my foster home and we get along well. I do have a bit of a special need medically, but it’s manageable and I will live a normal, happy life. Please email the Pixie Project for more information. If you are looking for a fun-loving, social girl to entertain at all of house parties this fall then look no further, just fill out the adoption application and we can schedule meet! I am fixed, vaccinated and microchipped. My adoption fee is $250.